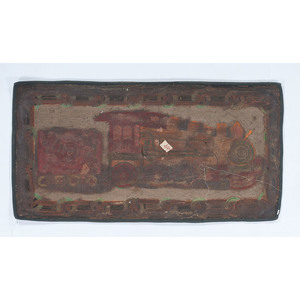 American, 19th century. 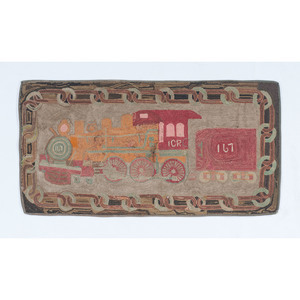 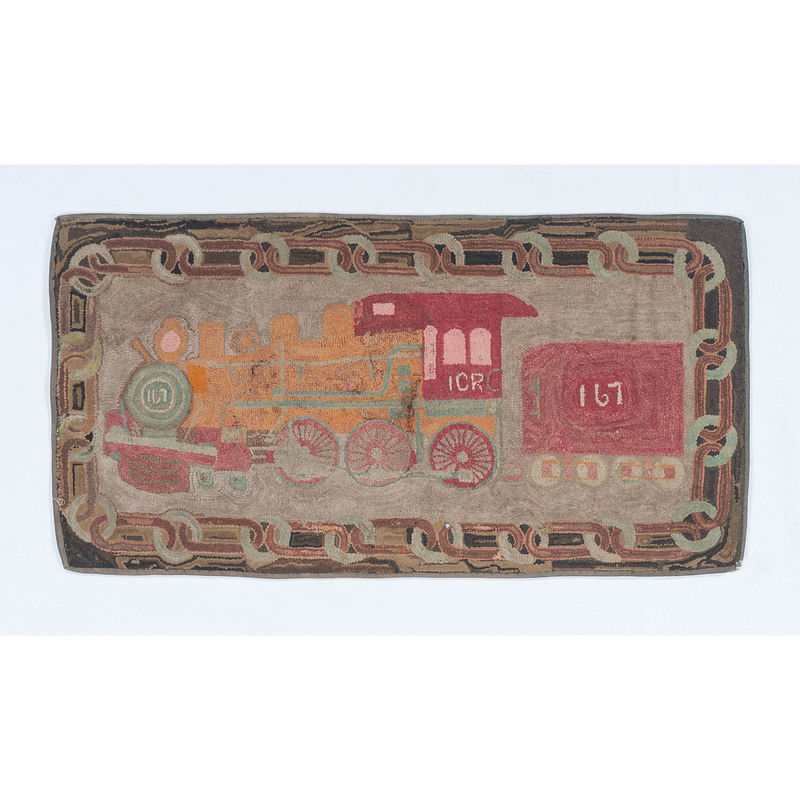 A hooked rug with a train engine inside a variegated border; 61.125 x 32.125 in. 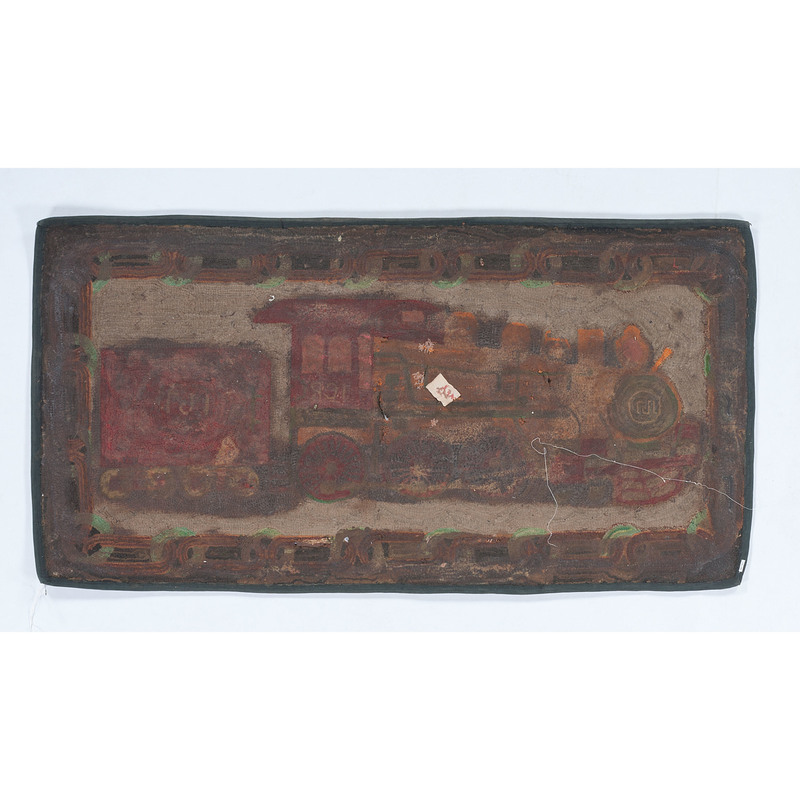 Fragile with several tears to train area.